The new Mitsubishi Shogun Sport is a great offering. 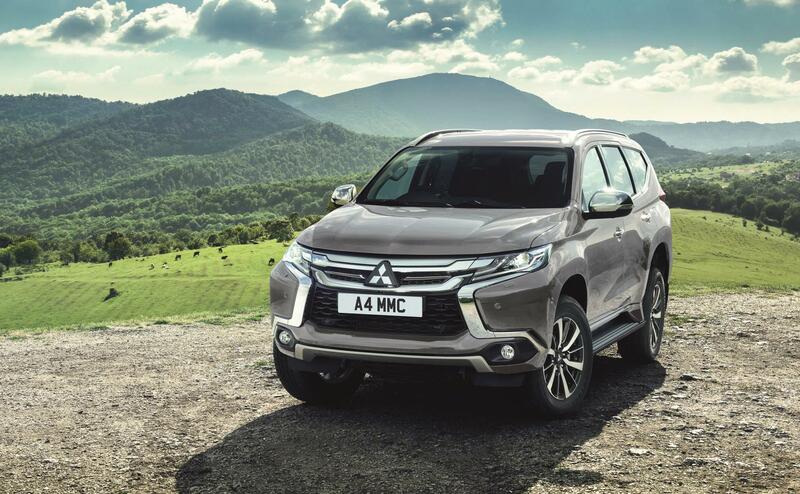 Built to deal with demanding terrain, the ever popular Mitsubishi Shogun Sport sees an all-new creation going on sale early next year in the UK. The Shogun Sport is the second big launch for Mitsubishi after the arrival of its Eclipse Cross in January. Along with the Eclipse Cross, the new Shogun Sport joins the Outlander, ASX and L200 to offer an impressive SUV range from the manufacturer for buyers. The seven-seater has an advanced drivetrain to enable excellent off-road performances so it is following in the footsteps of its previous models with its go anywhere attitude. The engine for the Mitsubishi Shogun Sport is a 2.4 litre diesel unit producing 180 bhp and producing torque of 430Nm. There’s also a new eight speed automatic transmission which is coupled to the lightweight engine. Handling is boosted by the all-wheel drive system, it’s called Super Select II, with standard equipment including hill descent control, hill start assist and trailer start assist. There are also a range of driving modes to suit the different types of terrain including a dedicated off-road mode. The Mitsubishi Shogun Sport’s driving dynamics are enhanced by the ample ground clearance and the exterior styling gives the car a sleek, rugged look. There’s also lots of space on board and with the rear seats folded flat, the boot measures 1,488 litres. From launch, there will be two high spec versions available but both will have leather upholstery, LED daytime running lights and keyless entry. Drivers will also have the firm’s smart phone link display to enable smart phone connectivity and voice control. The range topping models of the Shogun Sport will feature heated front seats and advanced safety features including forward collision mitigation that will use radars to help avoid a potential collision. There’s also a multi-camera monitoring system which uses cameras to offer a bird’s eye view around the vehicle to boost safety. Prices for the new Mitsubishi Shogun Sport will be revealed closer to the time but for those who need a well-built off-roader that will do everything expected of it, then this car might be for you. Audi A6 Allroad Sport – beat the weather! This entry was posted in 4X4 Car, Car Leasing, Cars, New Cars and tagged Mitsubishi Shogun Sport by Steve Lumley. Bookmark the permalink.